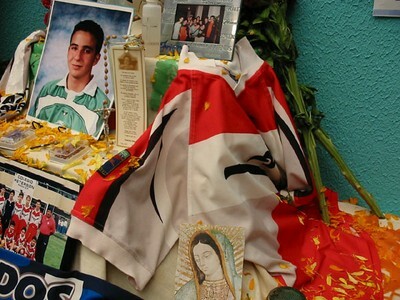 Alejandro was a student at the American School who passed away in (Month) of 2002 after a long battle with leukemia. He was a fine young man who displayed the qualities to which every student athlete aspires. Alejandro was active in many sports and was a member of the ASFM Juvenile B Junior Varsity soccer team. He distinguished himself by showing attributes such as hard work, skill, discipline, friendship, cooperation and a positive attitude toward sports and life.